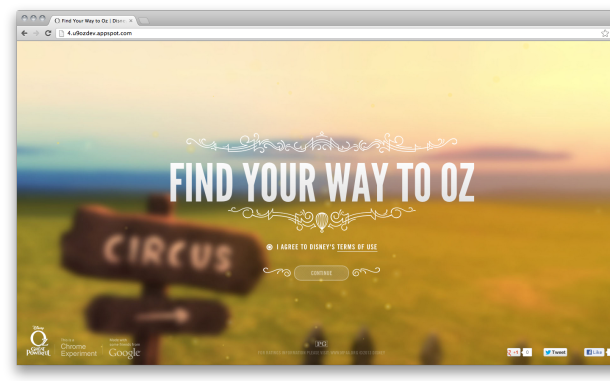 Find Your Way to Oz is an interactive journey inspired by Sam Raimi's latest feature film, Oz The Great and Powerful. 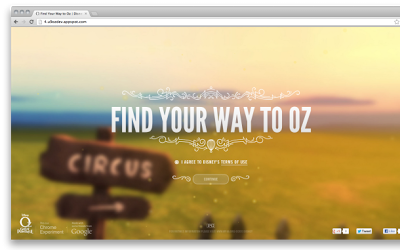 Built using advanced web technologies, this Chrome Experiment will take you through a dusty Kansas circus to the vibrant land of Oz. Take a look around - nothing is as it seems. Can you find your way to Oz? Check out the experiment at www.findyourwaytooz.com.